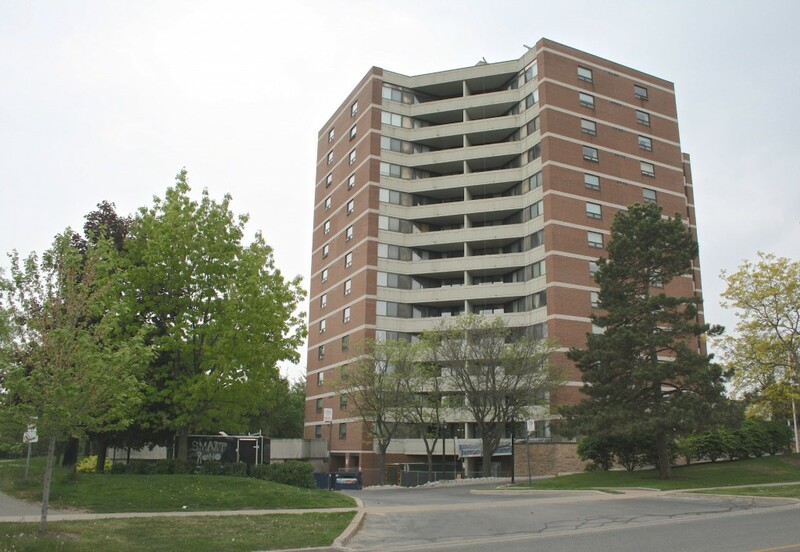 The Sovereign located at 95 La Rose Avenue sits next to a greenspace ,is steps from the TTC and 20 minutes to the Subway. La Rose Plaza has a wonderful Italian bakery after its own name, La Rose Bakery where foodies in the know come far and wide for their chicken fingers, and St. Josephs Day Zeppoles. The buildings suites boast no corners but each suite lights up with windows surrounding the units. Spacious and well designed the building is updated continuously and shows beautifully. There is great value and the fees include the Rogers VIP package an over $100 value. Their staff is on site and have serviced the building with the same personell for many years. 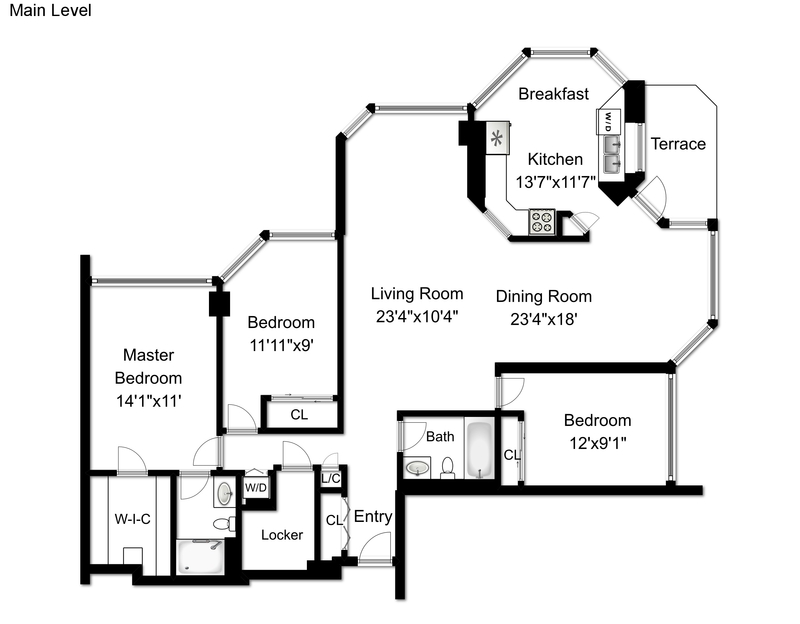 Below is the exterior of the building and one of its corner Floor plans for a 2 bedroom condo. This was taken from a Remax listing.